Thanks To All For a Great 2012 Event! We had a great show and had terriffic performances by the bands and musicians. Videos of some of these performances should be coming out very soon. I’d like to again thank all of our perfromers this year for what I think was the best show in our three-year history. 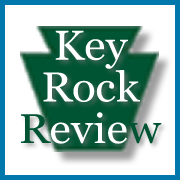 An article which previewed this year’s Sound Off for Vets concert on Saturday, May 19th at City Island, Harrisburg was published at Keystone Rock Review. This site is dedicated to covering Pennsylvania music, artists, and events.